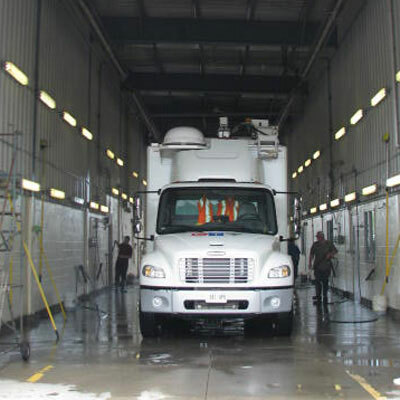 Our mobile truck washing division continues to form the core of our business. 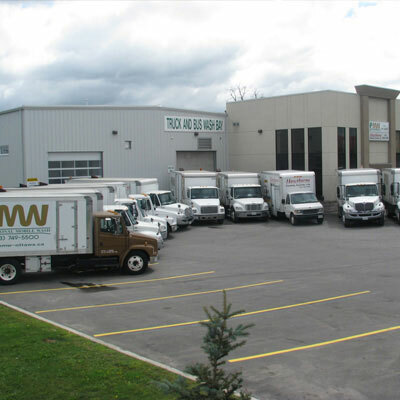 With a fleet of ten wash trucks, we can respond to any call and provide the best eco-friendly mobile truck wash service in the Ottawa-Gatineau region. Our convenient drive-thru wash bay is ideal for truck and fleet washing. We also specialize in washing cars, pickup trucks, motor homes, buses, loaders and backhoes. 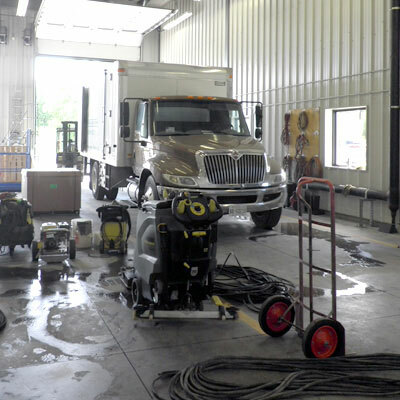 Our drive-thru wash bay is even large enough to accommodate a vehicle such as a full sized tractor or a set of trains. Our detailing shop can tackle the toughest interior cleaning challenges. We specialize in detailing commercial trucks and fleet vehicles, however we are experienced in cleaning all type of vehicles including cars and SUV's. The appearance of your building plays an important role in the way customers feel about your business. A clean building exterior will naturally attract customers and potential buyers. If you are a property manager you already know that a clean building will help attract new residents and keep the ones you already have. With our commercial building cleaning services we can improve the appearance and curb appeal of your business or property. With time, mold, mildew, dirt and grime build up on the exterior surfaces of your house. The sun, wind and rain can also effect surfaces resulting in discoloration. This build up and damage causes your house to deteriorate in both curb appeal and value. Exterior house cleaning is an essential part of caring for your property and protecting its value. If you are looking to sell your house, pressure washing is an easy way to boost its appearance. Keeping our fleet clean is important for our company image. 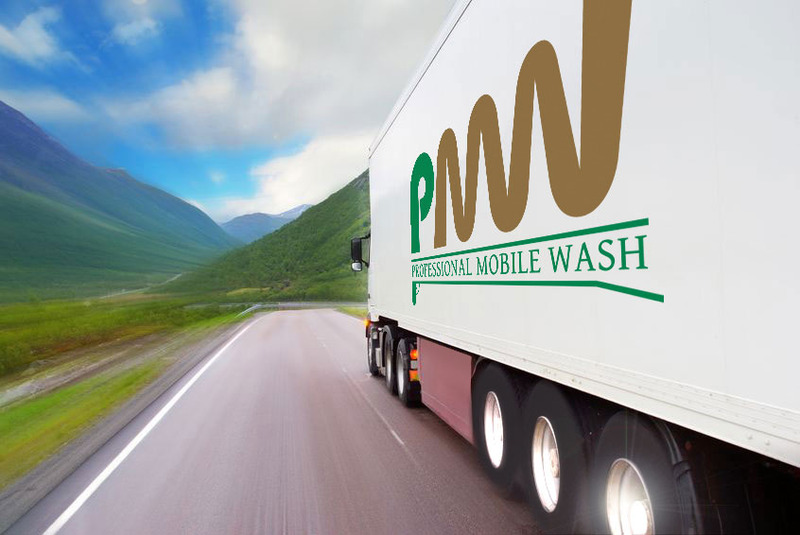 We have trusted Professional Mobile Wash for over 15 years with our cleaning needs and they have always done a great job. We used to wash our own equipment but with our growing business, we just don’t have the time. Now we go through Professional Mobile Wash’s truck wash bay and have their staff to clean it for us. Their men always treat us well and take care of any problems immediately. I highly recommend PMW to anyone who wants to get their trucks pressure washed. Because we transport ice cream, milk and other food products, we need to have our fleet clean, especially the interiors of our truck boxes and trailers. That’s why we use Professional Mobile Wash. They get the job done right. I’ve invested a lot of money in my heavy tow trucks and I take care of my investments. I trust the pro’s at Professional Mobile Wash to keep my trucks clean. Everyone who owns a truck should too. Web Development and Web Design by ABORG.